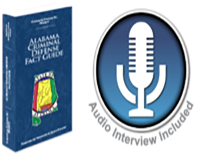 With forty (40) years of experience in defending DUI cases all over Alabama, our firm has won over a hundred significant DUI cases in the history of DUI charges in the courts of Alabama – and still winning. We believe that there is no such thing as hopeless case. Call today for an experience DUI defense attorney. Case Synopsis: Client stopped for driving erratic after 911 call placed to police concerning vehicle matching client’s. Officer noted bottle of vodka in client’s vehicle, strong odor of alcohol, red eyes, unsteady on feet, failed field sobriety tests, admission of drinking. Client arrested for DUI. Case Synopsis: Client stopped at 2:18 A.M for improper lane usage. Officer noted odor of alcohol, unsteady on feet, red eyes, admission of drinking, and failed field sobriety tests. Client arrested for DUI and Improper Lane Usage. Case Synopsis: Client stopped for speeding over 100 MPH on I-459 late at night. Bottle of vodka found in car. Officer noted odor of alcohol, failed field sobriety tests, unsteady on feet, and red eyes. Client arrested for DUI and Speeding. Case Synopsis: Client stopped for erratic driving. Officer observed empty bottle of vodka in front seat, strong odor of alcohol, slurred speech, failed field tests, and confusion. Client arrested for DUI and Reckless Driving. Case Synopsis: Client stopped for speeding 64 MPH in 40 MPH Zone at 12:50 A.M. Officer reported odor of alcohol, slurred speech, unsteady on feet, and client refused FST. Client arrested DUI & Speeding. Case Synopsis: Two car traffic accident on Interstate I-459. Officer reported blood shot eyes, odor of alcohol, slurred speech, poor performance on field sobriety tests, and failed preliminary breath test on roadside. Client arrested for DUI. Case Synopsis: Client stopped for weaving. Officer reported red glassy eyes, odor of alcohol, and unsteadiness on feet. Preliminary breath test on roadside .101. Client arrested for DUI. Case Synopsis: Client stopped for failure to maintain lane and running over curb at 3:38 A.M. Officer reported glassy and bloodshot eyes, severely impaired speech, fumbling for license, strong odor alcohol, and failed field sobriety tests. Client arrested for DUI and Improper Lane Usage. Case Synopsis: Client involved in single car accident. Law Enforcement Officer responding observed slurred speech, unsteady balance, confusion, inability of defendant to answer questions, strong odor of alcohol, admission to drinking, failed Standardized Field Sobriety Tests. Client registered nearly double the legal limit on breath test, .14. Case Synopsis: An Alabama State Trooper found the client incapacitated his vehicle after it left the roadway, hit a culvert and flipped. The client took a breath test that registered .15. Result: Case DISMISSED following pre-trial agreement negotiated by Attorney Whitney Polson.